Thekkady is a pleasant heaven on earth for those who love nature in its wild manifestations. Spices are found in abundance in Periyar. Get ready for a spice tour to view the plantations of a wide variety of spices like cardamom, pepper, tea, coffee, cloves, ginger, turmeric, cumin seed, etc. Overnight stay at the hotel. 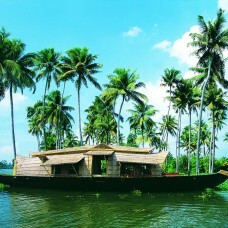 Own arrangement for Boating: Please book online in advance http://www.periyarfoundation.org to avoid rush. 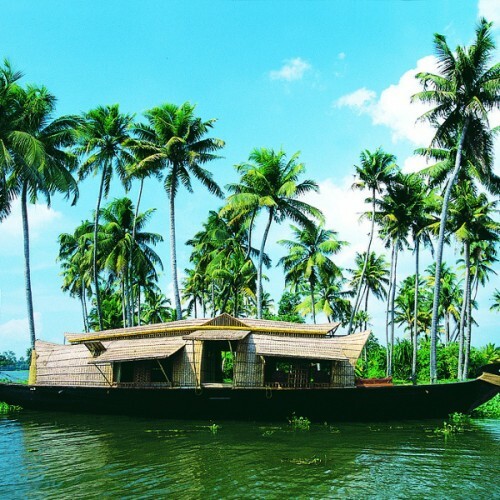 Kumarakom is famous of the popular backwater stretch. Visit the nearest Kumarakom Bird Sanctuary to view the Rare Migratory Bird "Siberian Star crane". Overnight stay at the Houseboat. After Breakfast transfer to Airport / Railway station for your onward journey to your home with the sweet memories of the tour with Ram Krishna Travels!!! All transfers and sightseeing arrangements by A/C Vehicle as per itinerary.